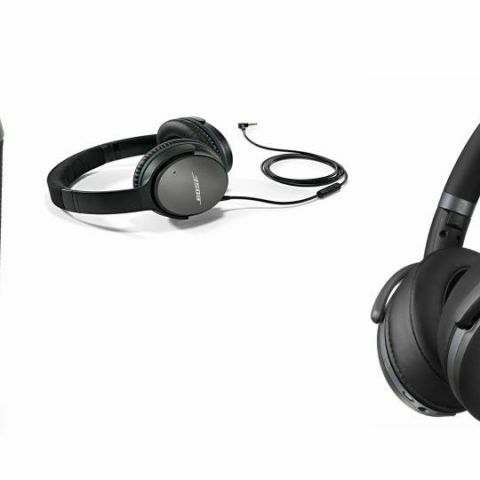 Amazon Great Indian Festival sale is live now and here we have jotted down the top deals Amazon has on audio devices that are from brands like JBL, Bose, and Sennheiser. The Amazon Great Indian Festival sale is going to run till November 5. The sale is featuring over hundreds of products across all major categories that includes TVs, laptops, smartphones and more. Moreover, Amazon is also offering up to 10% instant discount to buyers who will make payment through HDFC bank debit or credit card along with a cash back of 15% on orders above Rs 5,000. So, let’s take a look at the deals. The Bose QuietComfort 25 is a noise-cancelling over-the-ear headphone that comes with an in-line microphone and remote to manage calls and tracks easily. The headphone is compatible with Apple devices as well. At the sale, it is available with a flat 50% discount along with a 10% instant discount on HDFC card. View deal here. The Bose SoundLink Mini II Bluetooth Speaker comes with a built-in speaker phone that allows you to answer calls when your phone is connected to it. As per the company, it has a battery life of up to ten hours. View deal here. The Sennheiser HD 4.40 is a wireless over-the ear headphone, which comes with ear-cup mounted controls to change tracks and pick calls. It is Bluetooth 4.0 enabled and has a battery life of up to 25 hours. View deal here. The JBL Flip 4 is a wireless music streaming device that can be connected to up to three devices at once. The speaker comes with an IPX7 rating and offers a battery life of up to 12 hours. With HDFC 10% discount and Amazon 15% cashback, you can get this speaker for as low as Rs 5,199 (appx). View deal here.